Wow – these are good! 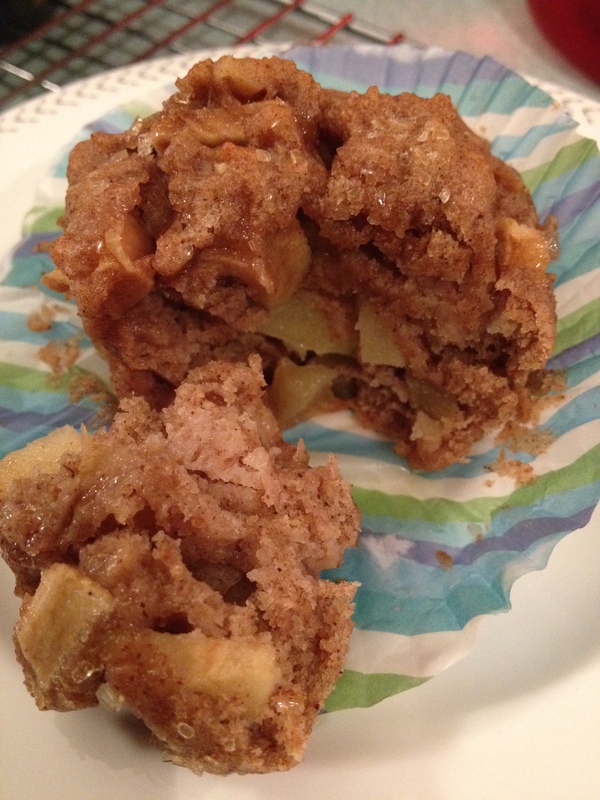 I was excited to find this recipe at The Goodie Plate that uses whole wheat flour and fresh apples. The blogger raved about the smell and the flavor of these muffins and I needed to see for myself just how good they are! I’m glad I tried them – they’re delish! And my house smelled wonderful! Even though they use some whole wheat flour, they were incredibly moist muffins and not as heavy as I expected them to be. Of course I made a few adjustments to the recipe, because that’s how I bake, but they were simple tweaks. I added some chopped walnuts and some finely chopped candied ginger. If you’ve never tried candied ginger, it’s a sweet / hot thing that’s best eaten in small pieces, so chop it well. If you like the heat of ginger, like I do, make sure to add some to your muffins! If you’re not quite sure, stick with a small amount (maybe 1 Tablespoon) and adjust the amount in your next batch. I used light brown sugar because my box of dark brown sugar was hard as a rock! I didn’t realize I could soften the brown sugar in the microwave by putting the brown sugar in with a small bowl of water near it, zapping for 1 minute, then checking every 30 seconds until it was soft. Dark brown would give the muffins a richer flavor, but the light brown was delicious. 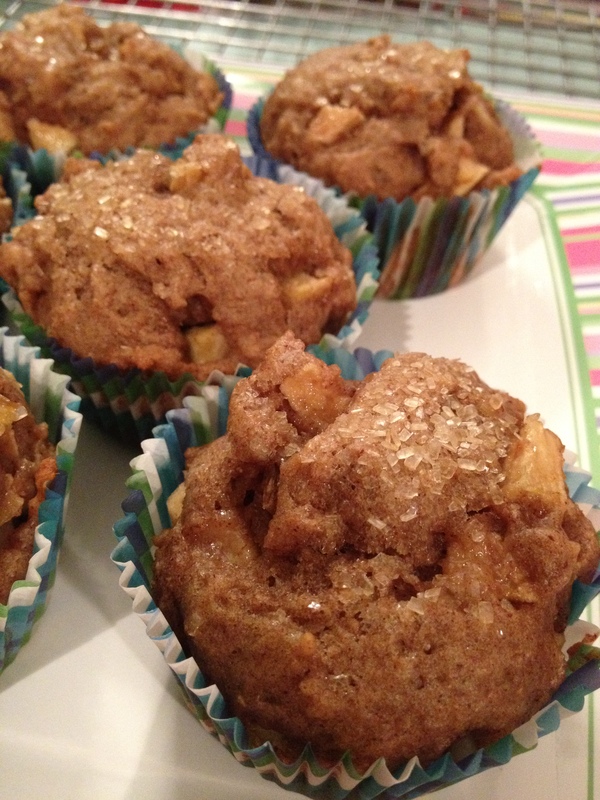 I used two large apples, so I had very chunky muffins that made a batch of 18. I think they’d freeze very well. I didn’t think to throw a couple in the freezer before they all disappeared, but next time I will. These are great for a healthier breakfast or snack alternative, and almost sweet enough for a dessert. Give them a try and let me know what you think! « White Bean Chicken Chili ~ Summer IS Crock Pot Season!